The winning image will be published on a SHOOT magazine cover and the winning photographer will receive a minimum of $500. USD. Runner-up photo and honorable mentions will also receive cash & prizes. (Note: If sponsors are secured, SHOOT will award larger material or cash prizes.) And, during the Summer contest period, one (1) photo will be selected each weekday as “SHOOT Magazine BTS Summer Photo Contest ENTRY OF THE DAY” and will be posted to SHOOT BTS Photo Contest Instagram page as well as SHOOT’s Instagram, Facebook, and Twitter accounts. 2. Upload a photo via the Photo Contest tab on SHOOT’s’ Facebook Page here: http://BTS-FB.SHOOTonline.com (FB best for uploading via mobile device (i.e. tablet or mobile phone). Submission Details & Period The SHOOT 2018 BTS Summer Photo Contest Entry Period commenced on June 1s, 2018 at 12 am Eastern Time (ET) and ends on September 7th, 2018 at Midnight Eastern Time (ET) (the Summer Contest Entry Period). Winners will be announced for the Summer contest period within 4-8 weeks weeks after the Emmy Awards® are announced in September. 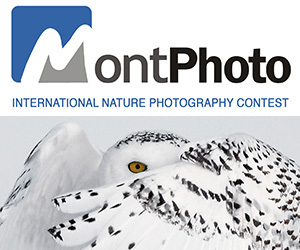 The contest is FREE to enter and photographers of all abilities are invited to submit photos. There is no limit to the number of photo submissions per entrant. Entries must be in digital format and submitted electronically in accordance with the contest guidelines and rules. Images must have been taken no longer ago than 3 years prior to the entry’s submission date. All entrants must be 18 years old or older. People may vote for multiple entries; however only one vote per person will be allowed per entry, per day during the voting period. All contest photos will be displayed at the My SHOOT BTS Gallery and on SHOOT’s Facebook page. Submissions must identify the location of the photo. PRIZE DETAILS: The winning image will be published on a SHOOT magazine cover and the winning photographer will receive a minimum of $500. USD. Runner-up photo and honorable mentions will also receive prizes. (Note: If sponsors are secured, SHOOT will award larger material or cash prizes.) And, during the Summer contest period, one (1) photo will be selected each weekday as "SHOOT Magazine BTS Summer Photo Contest ENTRY OF THE DAY" and will be posted to SHOOT BTS Photo Contest Instagram page as well as SHOOT's Instagram, Facebook, and Twitter accounts. Not eligible to enter? - Find contest where you are. COPYRIGHT: By submitting, you confirm that the images are lawfully yours (or your clients if agent) and you retain full copyright discretion. As between you and SHOOT, each entrant shall retain ownership of all intellectual property rights in the entry subject to the Official Rules. 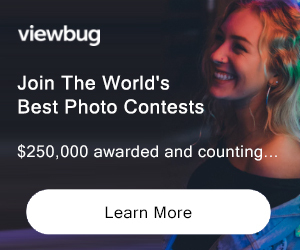 Photographs owned by a third party, are acceptable IF license has been secured to permit your submission to this contest and allows the Producer to use the images as outlined in all these rules. At the sole discretion of the Producer, photos entered in the Contest that violate or infringe upon another person's or company's rights, including but not limited to copyright or "work for hire" copyright, producer or union/guild rules are ineligible and will be disqualified from the Contest. And, Contest Producer reserves the right to reject and remove any submissions deemed in violation of a production's rules, in place at time of when photo taken, or inappropriate in nature, without recourse or explanation. And the photographer, or their agent, may be banned USAGE RIGHTS: As between you and SHOOT, each entrant shall retain ownership of all intellectual property rights in the entry subject to these Official Rules. However, by entering the Contest, and to the extent allowed by law, entrant grants, but solely in relation to the promotion and/or advertising of the Contest and it’s print and digital displays, the Producer, the Producer's Sponsors, the Producer’s affiliates, licensees, promotional partners, developers and third party marketing entities a non-exclusive worldwide, royalty-free license, in perpetuity, to modify, rearrange, copy, reproduce and adapt the images only to fit the format required for product web pages and marketing materials; The copyright owner grants a license to publish and use the images themselves and the content of and elements embodied in the images, including any names, locations and likenesses, in perpetuity, in any and all media, including but not limited to print, digital and electronic media, computer, and audiovisual media (whether now existing or hereafter devised), in any language, throughout the world, and in any manner without further review, notice, approval, consideration, or compensation ONLY IN THE CONTEXT OF THE SHOOT "BEHIND THE SCENES" PHOTO CONTEST. Sponsors, its affiliates, partners consultants, will not commercially exploit the images and all such rights of commercial exploitation remain with entrants.